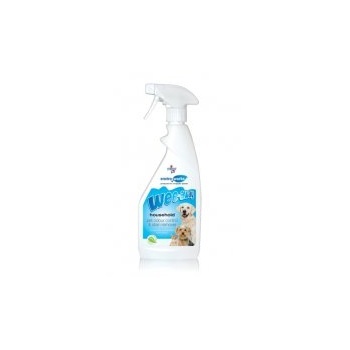 Naturally sustainable pet odour and stain remover which rapidly neutralizes and eliminates bad odours. Uses friendly bacteria to actively eliminate uric acid and salts that cause urine odour. Fast acting and does not rely on the use of masking agents or hazardous chemical oxidizers. Safe to be sprayed on both soft and hard surfaces such as carpets, fabrics, pets & animal bedding. Safe to be used on everyday household spills, urine stains, faeces, vomit and other general pet and human accidents.